To increase community awareness and education to STOP Human Trafficking and Sexual Slavery locally and globally. Find out more about Soroptimist International and working with other women who believe in the power of joining together to accomplish great things in support of women and girls. 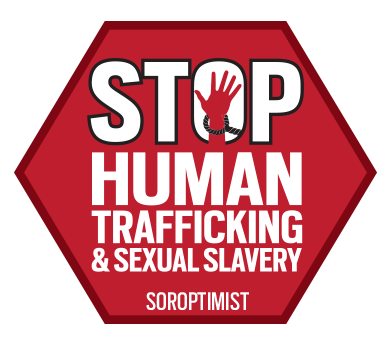 Find out more about Soroptimist International of Oxnard and working with other women who believe in the power of joining together to accomplish great things in support of women and girls. Every 30 seconds another person becomes a victim of Human Trafficking. HELP us put an end to suffering through education, advocacy and involvement. Need Help or See Potential Abuse?